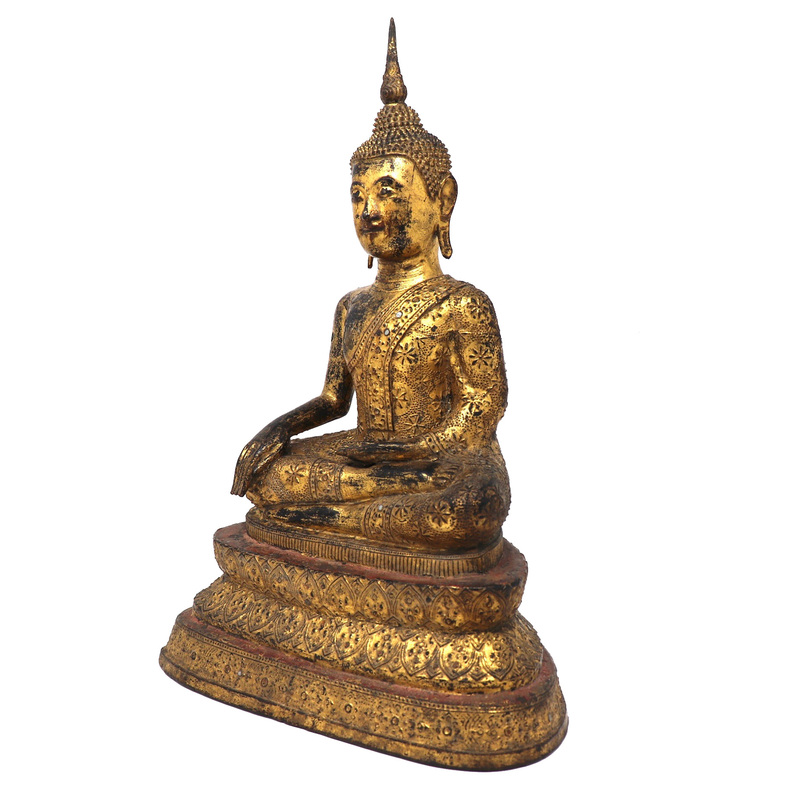 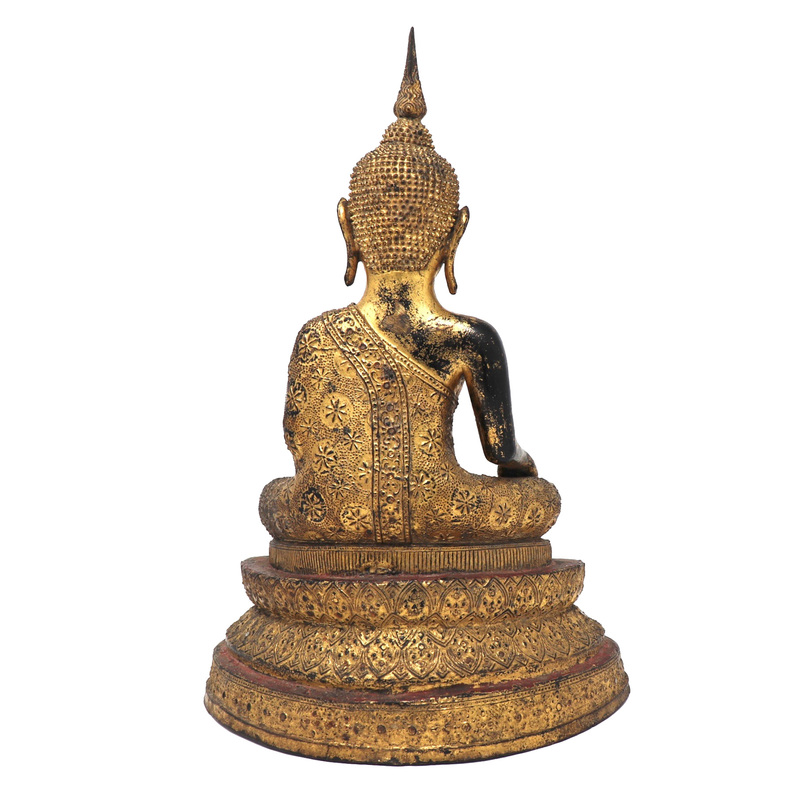 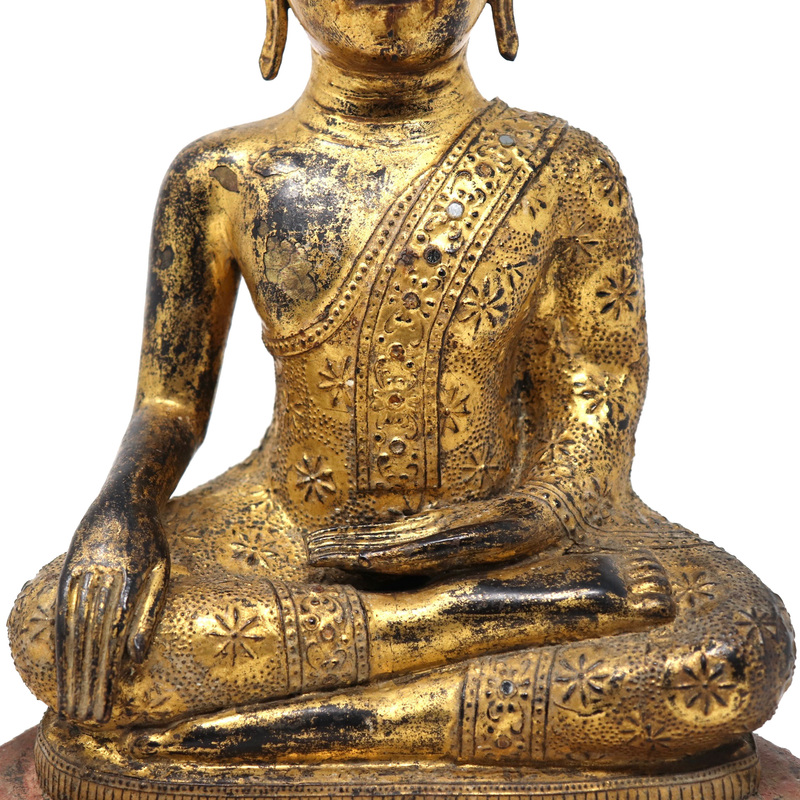 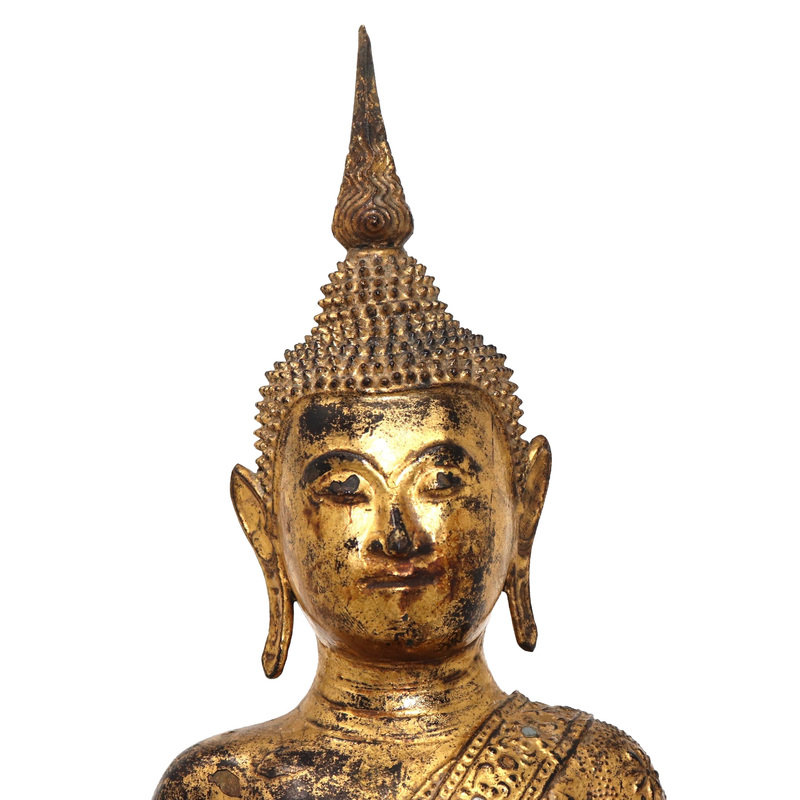 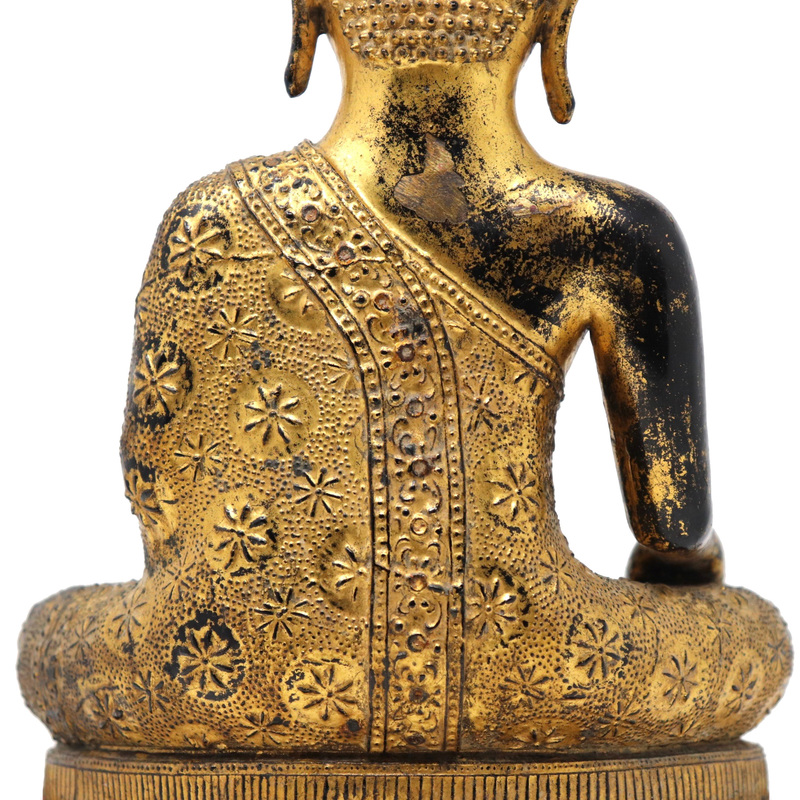 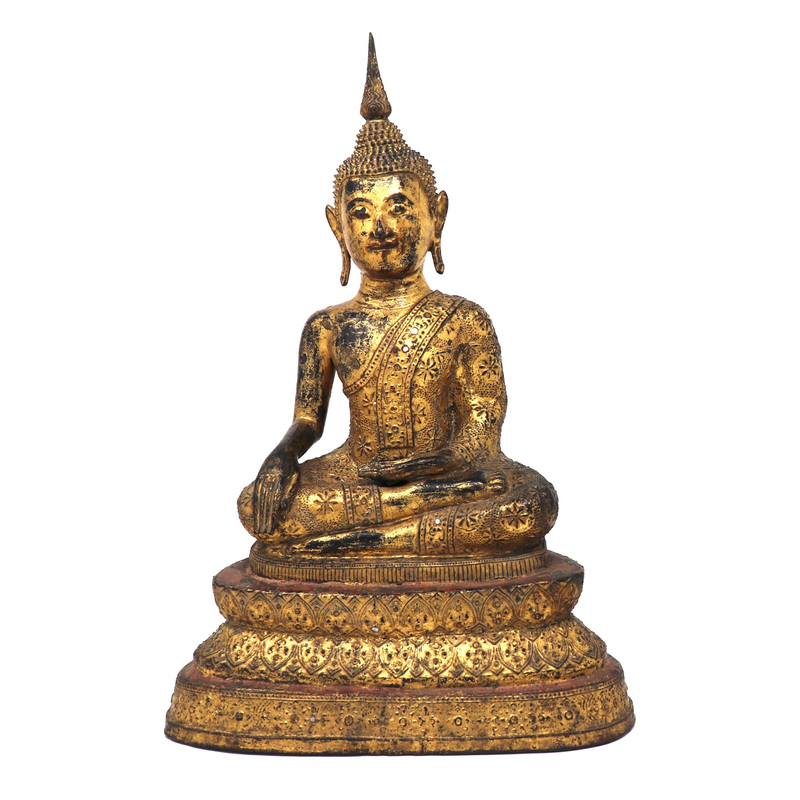 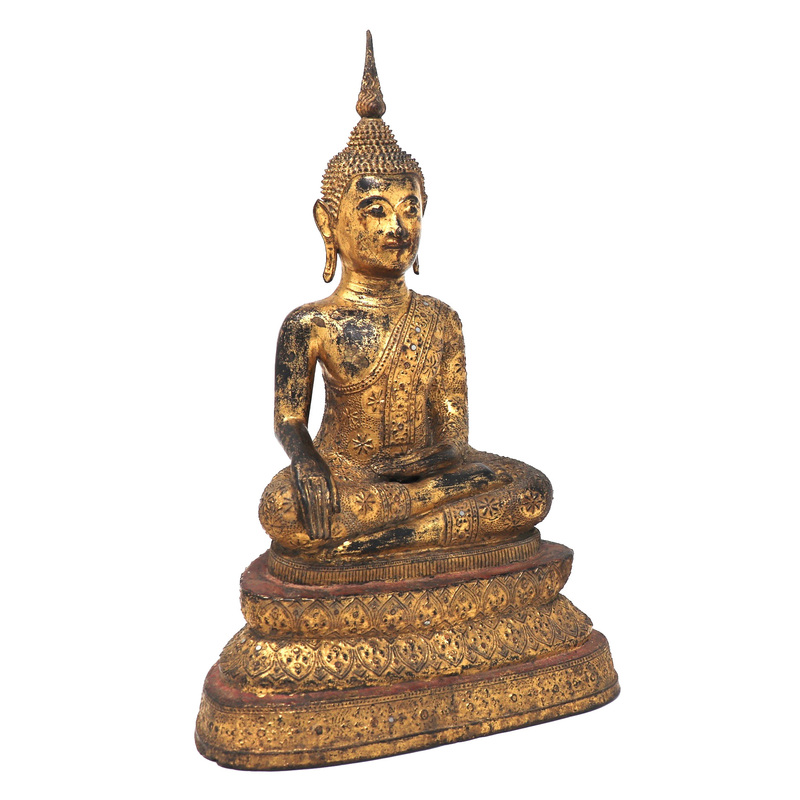 Thai Gilt Bronze Figure of a Seated Buddha,depicted with legs crossed in the virasana position with the right leg resting on the left leg, soles up, the hands in the earth touching position (bhumisparsa mudra), right hand on the right knee and the left hand palm up resting in the lap, raised floral pattern on the robes over one shoulder including the inset mirror sash, the head with elongated earlobes amd peaked ears, domed usnisa with durian spine hair curls arranged neatly in rows topped by a flame finial, seated on a tiered and waisted triangular base with relief decorative features all around, covered overall in black lacquer and the upright tier portions with red pigment and gilded overall and small mirror insets on the base and costume. 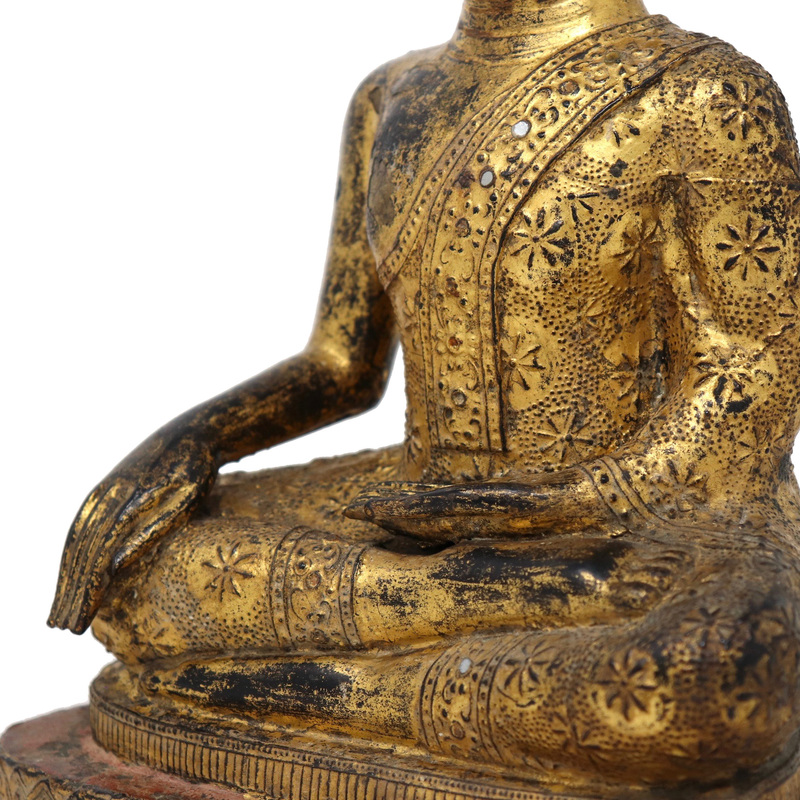 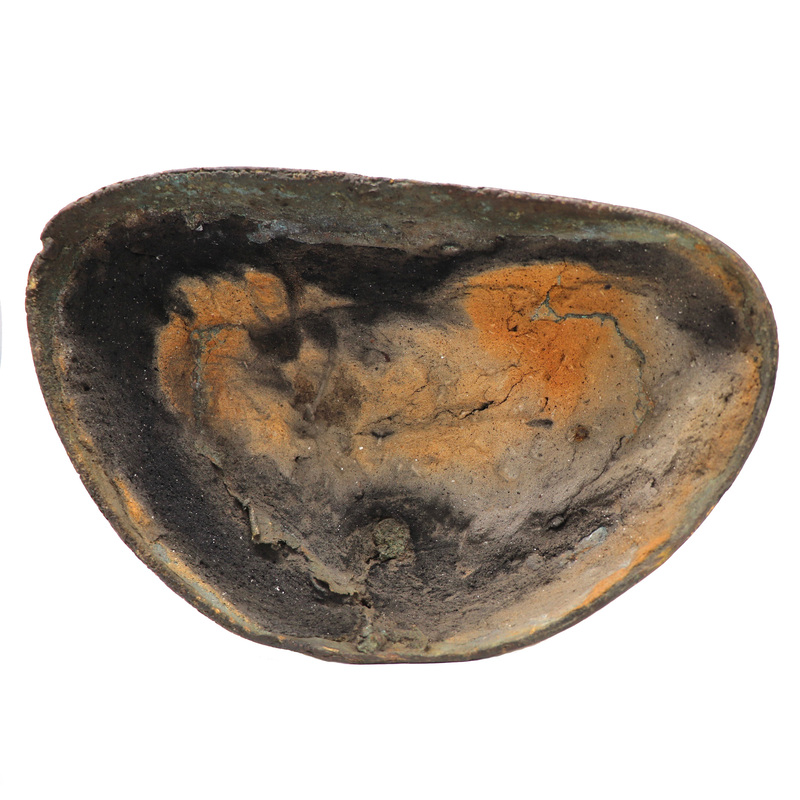 Minor signs of wear with small nicks and losses to gilt and lacquer, overall fine condition. 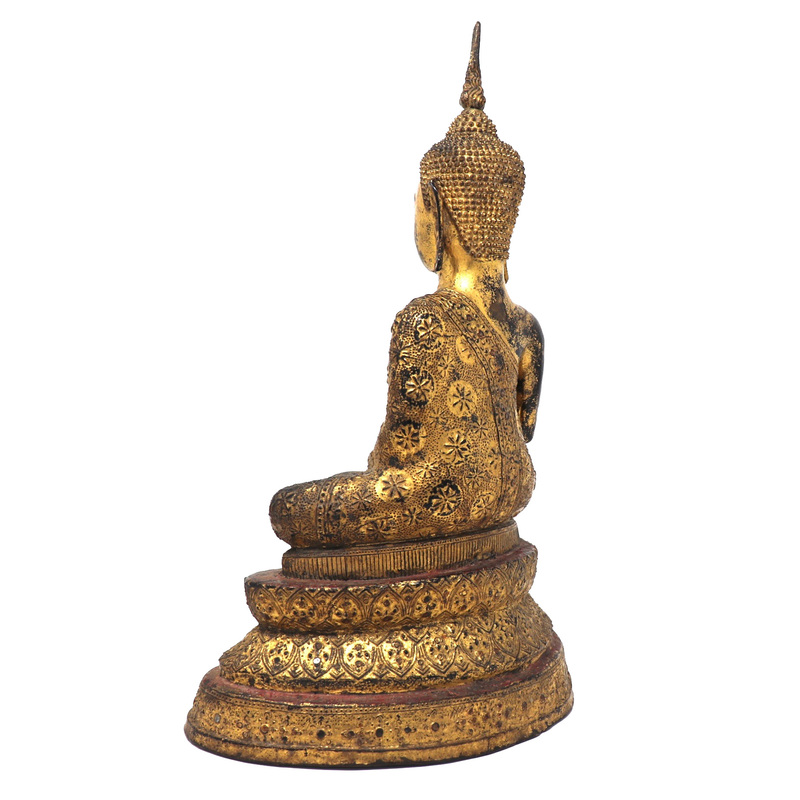 15 inches high x 10 inches wide x 6-1/2 inches deep. 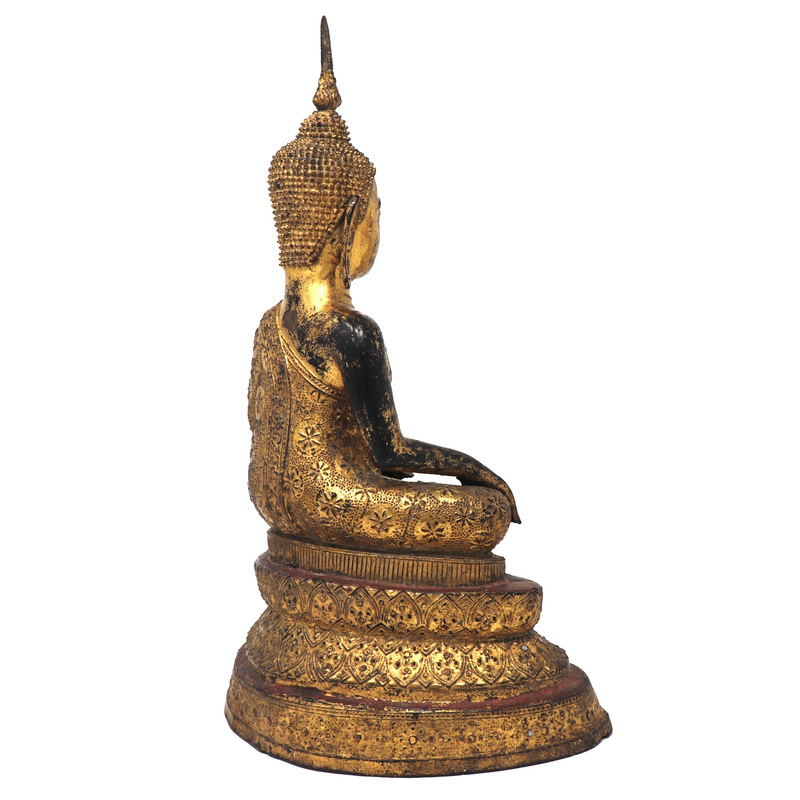 Bangkok Period, Late 19th Century. 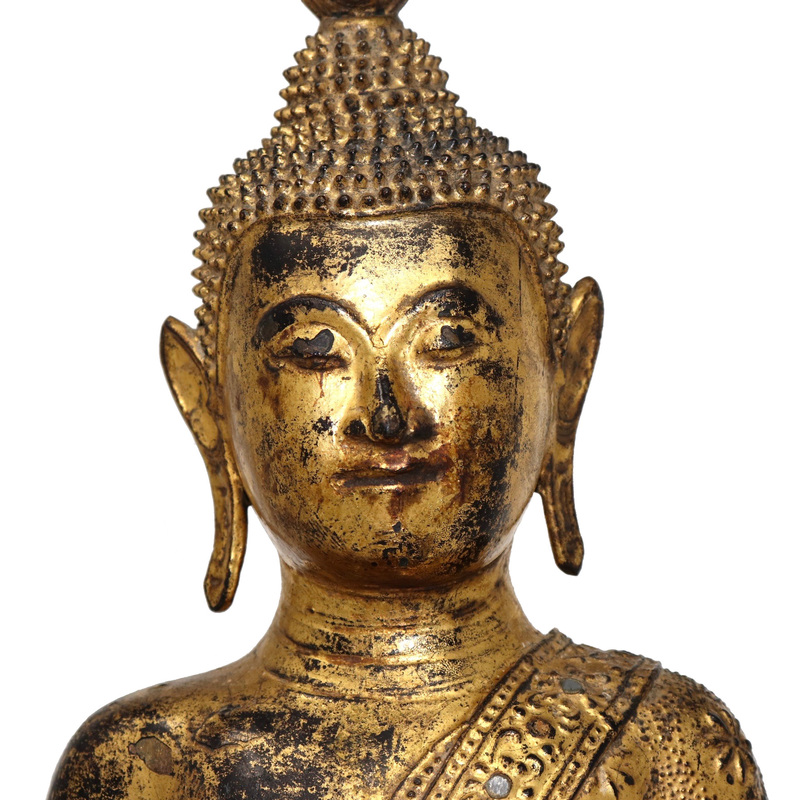 Ex Collection: by descent, Don Christensen, Penang, Malaysia.